As co-founder and CEO I do a little bit of everything, but in all seriousness I’m heavily involved in our customer development and customer success efforts, advise the data quality and product efforts, and take primary responsibility for the operation of the business. What got you interested in entrepreneurship? Dale, who is both my husband and co-founder of Curate, has always been actively involved in creating products or services that change how people use and view technology through his PhD research in computer science. Talking about ideas non-stop at home definitely got me interested in entrepreneurship, and this was solidified by earning my MBA to learn some concrete pillars of innovation. What is something being CEO of a startup taught you about leadership that you never learned in a business class? At Curate, we all take turns leading the company. In an established organization there is a well-defined hierarchy which I studied extensively in my MBA program. Here we all work together to move the company forward. It’s like taking a big road trip with your friends — we all take turns driving the bus. My goal is to make sure the right person is driving and making decisions at the right points in the road, and I’m humble enough to know it’s not always myself. When you surround yourself with incredible people you have to give them the freedom to be creative and solve problems. If you could pause all responsibilities for two days and visit any place in the world, where would you go and why? I’m very fortunate to have the freedom to travel now. My motto is “have laptop, will travel” and some of my most productive work at Curate has been in places around the globe. We’re a remote friendly office and I’ve taken conference calls in some odd places. That being said, I’d likely go off the grid and spend some time sailing in a remote location. What has been your most memorable experience with a customer or potential customer? Seeing our customers believe in us, our product, and our mission to change how people access valuable municipal information is all so exciting. Everything we do is driven and shaped by our incredible users — just last night someone called me about a research project they were trying to do and within an hour we were able to add a feature to the website to help them get information more easily. Hearing that “wow” from our customer makes it all worthwhile! The startup environment is often described as “life in the fast lane” — before Curate, where did you learn this work ethic? I’ve always had positions that required 110%. I’ve worked as a facility manager for an entertainment venue, as medical staff on the field for D1 sports teams, and I’ve been involved in hundred of weddings (a high-stakes event that has zero room for error!). But my work ethic really came from my first job out of college— project manager for the construction of an almost $100M facility. During the busiest part of the project I started by day at 5am with the first construction crew and ended my days around 6 “relaxing” on the couch with my laptop, wine, and some nice emails. I loved every second of it. Still to this day I’m most productive between 6pm and 12 midnight! What challenge do you face most often in what you do? Most of our customers or potential customers have been in the industry for decades and are very experienced in what they do, and the process of finding projects has traditionally been a matter of talking to the right people at the right time. The challenge I face most often is debunking the stigma that our technology is replacing those valuable face-to-face interactions. 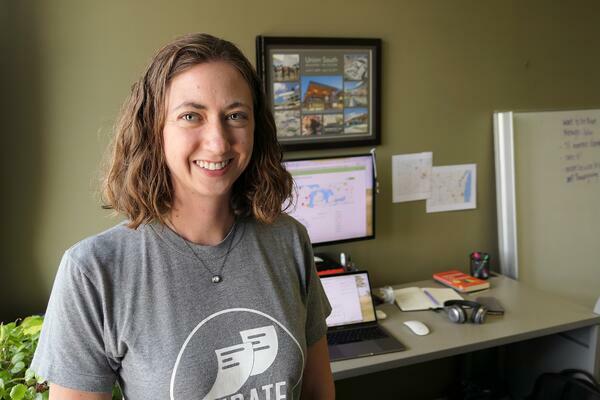 We built our technology keeping the user’s network they’ve nurtured for years in mind, which is why Curate supplies each general contractor only the most relevant and lucrative information for their team. Never before has this kind of “tailor-made” technology existed for GCs, so once we defeat the stigma people are excited about the possibilities that have never before been possible! 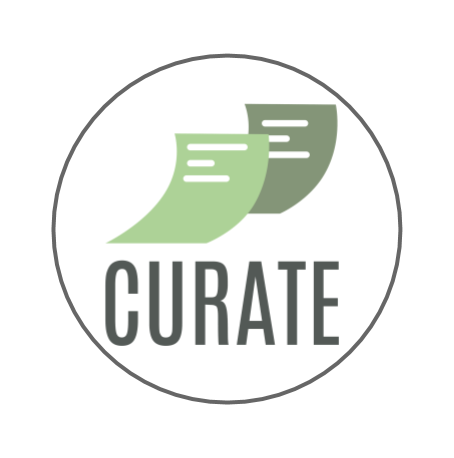 What was your “aha moment” that made you realize something like Curate could be beneficial to those in the construction industry? There is so much planning that goes into building a product, but unless you are getting feedback while you build your product it could be useless. If you aren’t grossly embarrassed by your beta product, you’ve waited too long — trust me, I was horribly embarrassed at version 1.0 of Curate. But it’s the quality of the product that matters, not adding every last premium feature. I’m always motivated by our mission to change how people access public data, our customers, and to be honest, the amazing group of people who are part of the Curate team. I feel incredibly lucky to work with such talented people who are committed to changing the tide in accessing public data.